The Wonderful 101 is one of the most interesting Platinum Games action titles ever released, but not many had the chance to experience it due to the game being a Wii U exclusive. It seems like, however, this may change in the future. 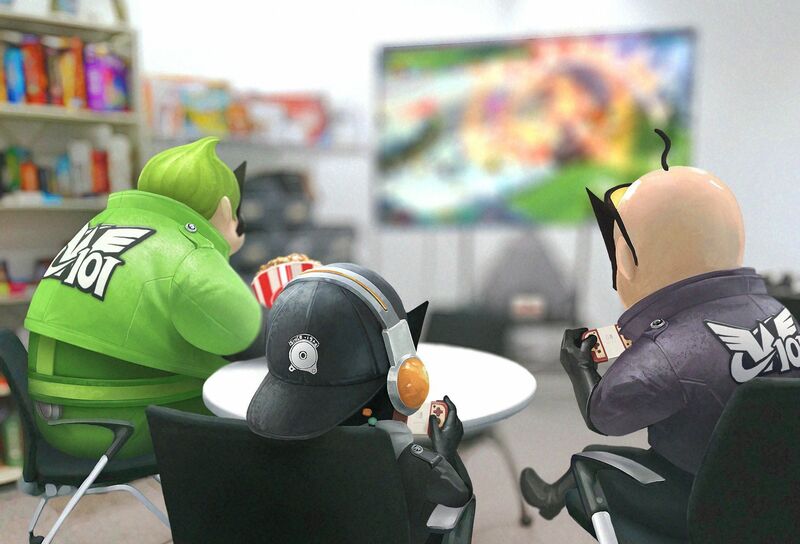 A few hours ago, the Platinum Games Official Twitter Profile shared a new image showing members of the team dressed as The Wonderful 101 characters playing on a Nintendo Switch, with Joy-Con controllers being visible. Today’s teaser isn’ the only one shared by Platinum Games recently. A few days ago, another image showing Bayonetta as she appears in the original game and in the Wii U exclusive sequel has been shared, with the color scheme matching the blue and red neon Switch Joy-Cons. Both teases may lead to nothing, but it’s definitely not coincidental that they both include Nintendo Switch references. The Wonderful 101 has been directed by Hideki Kamiya and sports a unique gameplay experience where players control a team of over 100 heroes to protect the planet from an alien invasion. As Wonder Red, leader of the Wonderful 100, you will unite your band of Wonderful Ones to morph into powerful transformations such as a fist, sword, glider, gun, and more to battle invaders throughout Blossom City and across the world. The Wonderful 100—and YOU—are the city’s best weapon. Unite your horde of heroes and morph into powerful weapons to crush the invaders, or synthesize into bridges, chains, and other objects that help you move through the world’s different environments.